In a first-of-its kind case, the Justice Department has reached a $2.2 million settlement with BMW Financial Services involving allegations that the company failed to refund partial upfront payments to 492 service members who terminated car lease agreements because of military duty. Justice officials also have worked with the company to set up a clear process for providing future refunds to service members in such circumstances. The Justice Department complaint alleged that the company violated the Servicemembers Civil Relief Act, or SCRA. The department’s investigation began with two service members stationed at Andrews Air Force Base, Maryland, who had leased BMWs and made upfront payments in the form of vehicle trade-in and rebate credits. While BMW Financial Services agreed to terminate their leases ― one airman wanted out because of a relocation, the other because of a deployment ― it refused to refund any part of the upfront payments. The government contends that part of those payments is applied to the first month’s lease payment and the remainder is used to reduce the monthly payment over the lease’s term. BMW Financial Services disputes these contentions, according to the settlement agreement, contending that the payments are in the form of a down payment that’s retained by the motor vehicle dealer and not paid to BMW Financial Services. Still, BMW Financial Services has agreed to partial refunds for each of the 492 service members based on how many days were remaining in the lease. The company also will pay indirect damages to each service member based on three times the amount of that refund, or $500, whichever is greater. It also will pay a $60,788 fine to the government. 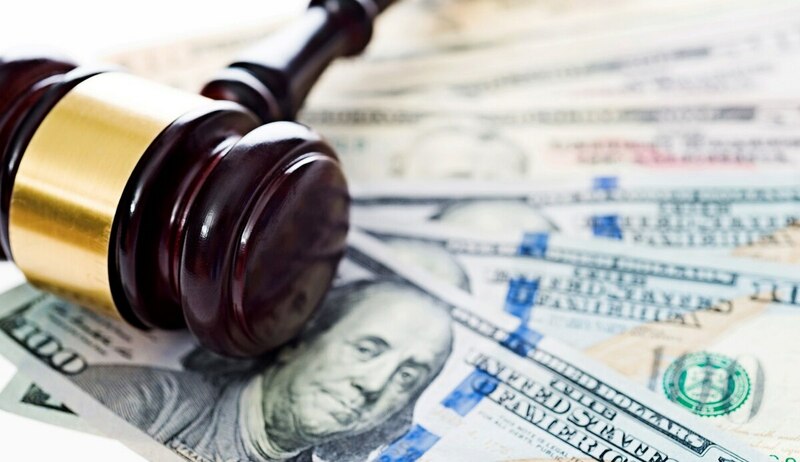 According to a Justice Department news release, it’s the first case officials have brought against a motor vehicle leasing company for failure to refund upfront lease amounts to service members who had exercised their rights to terminate those leases under the SCRA. Justice Department spokesman Devin O’Malley declined to comment on whether officials are investigating other vehicle leasing companies regarding this issue. In recent years, the Justice Department has beefed up its enforcement related to protections in the SCRA. The settlement requires BMW Financial Services to deposit nearly $2.2 million into an escrow account to compensate the service members whose rights were allegedly violated. It covers all leases terminated by service members since Aug. 24, 2011. BMW Financial Services offers leases for BMW, MINI and Rolls-Royce vehicles through its dealers, according to the complaint filed by the Justice Department in New Jersey federal court. The settlement agreement states that the company neither admits nor denies the allegations. Kristi Steck leased a 2015 BMW 328i in October 2014, while a senior master sergeant in the Air Force. She received a credit of $4,160 for her trade-in vehicle, plus a $500 rebate credit. 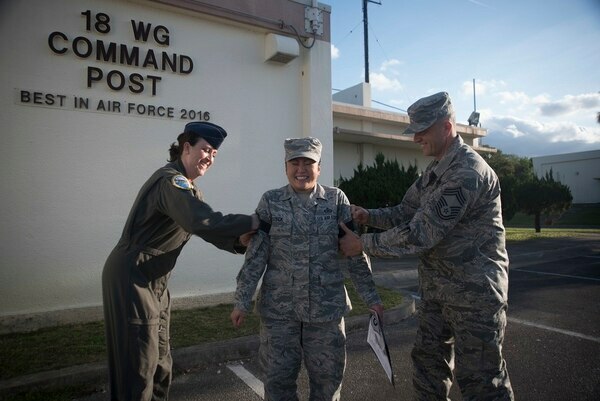 She made monthly lease payments for the next 10 months, but in mid-2015, she received Air Force orders to relocate to Japan. Steck contacted BMW Financial Services to terminate her car lease, which they allowed. But they refused to provide a partial refund of the credits she had applied to reduce the lease payments over the term of the lease. Under the SCRA, service members are allowed to terminate vehicle leases early without penalty after entering military service, or after receiving qualifying military orders for a permanent change of station, or to deploy. The law also states that lease amounts should refund lease payments made in advance, when service members lawfully terminate their lease agreements. Tech. Sgt. Andrew Menard, also stationed at Andrews, encountered a similar denial after he received orders to deploy to Afghanistan in October 2015 for 186 days. He had signed the lease for his 2015 BMW 328i in February 2015 and applied a credit of $5,014 from the trade-in of his previous vehicle to reduce the amount of the monthly lease payments. BMW Financial Services allowed him to terminate his lease but did not refund any part of his upfront payment. “Our men and women in uniform should be able to devote their entire energy to their service and defense of our nation, and the Justice Department is committed to protecting these rights when their obligations to the American people force them to change their plans,” Acting Assistant Attorney General John Gore of the Justice Department’s Civil Rights Division said in a news release. The case was handled jointly by that division and the U.S. Attorney’s Office for the District of New Jersey.